Tim Dack has been practicing in Vancouver, Washington for over 29 years with an emphasis on bankruptcy, commercial litigation and real estate. Tim was born in Chicago, Illinois, where he lived with his parents and five siblings. Tim’s grandparents, who owned the apartment building, lived in the apartment upstairs. He attended private Catholic schools, which he helped pay for by working summer jobs, including caddying at a nearby private golf course beginning at the age of 12. Tim attended Montana State University and graduated with a degree in finance and a minor in economics. He moved to the Tacoma area where he graduated from Puget Sound School of Law in 1989 (now known as Seattle University School of Law). 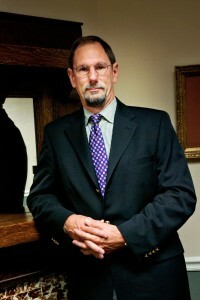 He started his law career with Morse & Bratt in Vancouver, Washington where he honed his bankruptcy and litigation skills under the supervision of well respected local attorneys. In 1995, as an associate at Horenstein and Duggan, he successfully completed a multi-million dollar Chapter 11 bankruptcy reorganization for a local solid waste company. In 1997, Tim started his own solo practice. Tim has represented various clientele in his over 29 years of practicing including average consumer debtors, small businesses, large fitness club, fortune 100 company, the FDIC, and non-profit corporations. He’s been married for over 27 years and has three children. Tim has enjoyed coaching his children through various Clark County youth organizations including coaching his sons’ football teams with Clark County Youth Football for 10 years, coaching his children’s Catholic Youth Organization basketball teams for 10 years, Hot Shots basketball, Salmon Creek Little League baseball, CYO swimming, and Salmon Creek soccer teams. What sets Tim apart from other Vancouver attorneys is his commitment to community, family, friends and practicing law with integrity and honesty. Tim Dack relies on the fact that his clients are comfortable hiring an attorney who not only understands the ins and outs of business, bankruptcy, and real estate law, but also has a commitment to the community, friends and family. 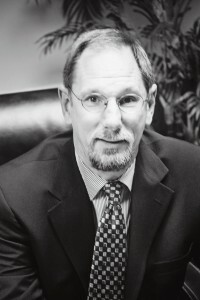 Tim Dack has over 29 years of successful experience practicing law primarily in the areas of business, bankruptcy, real estate, commercial contracts, and commercial litigation. Contact us today and let Tim's experience work for you.